Schematic drawing of various types of uterine fibroids. What is Fibroid Tumor Removal surgical procedure? Fibroid Tumor Removal (or Myomectomy) is the surgical removal of fibroids from the uterus. Fibroids are non-cancerous growths that often appear in the uterus, during childbearing years. A Fibroid Tumor Removal procedure involves the uterus. Why is the Fibroid Tumor Removal surgical procedure Performed? Some women may only need pelvic exams or ultrasounds, every once in a while, in order to monitor the fibroid's growth. Robotic Myomectomy and high-intensity focused ultrasound ablation are recent advancements in the procedure. What is the Cost of performing the Fibroid Tumor Removal surgical procedure? The cost of Fibroid Tumor Removal surgical procedure depends on a variety of factors, such as the type of your health insurance, annual deductibles, co-pay requirements, out-of-network and in-network of your healthcare providers and healthcare facilities. How is the Fibroid Tumor Removal surgical procedure Performed? The Fibroid Tumor Removal procedure is performed, either by an obstetrician or a gynecologist, with assistance from an anesthesiologist. The Fibroid Tumor Removal surgical procedure may take anywhere between 1-3 hours, depending upon the type of approach used. It is very important to provide the following information to your healthcare provider. 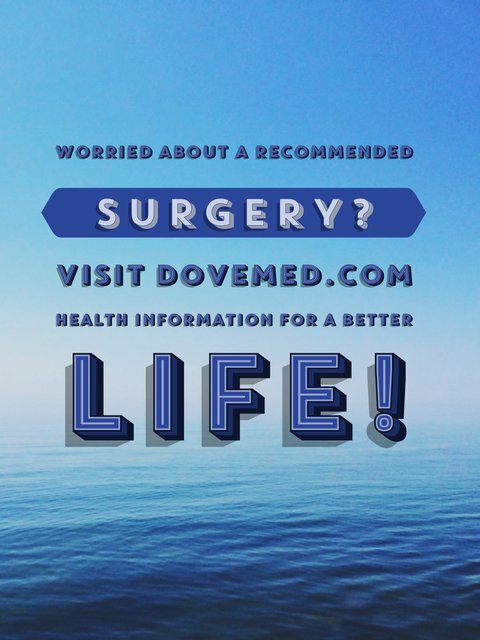 This enables your healthcare provider in assessing the risks for the Fibroid Tumor Removal surgical procedure and helps avoid unnecessary complications. Normally, local anesthesia is not used; however, do inform the physician if you are allergic to any local anesthetics, lidocaine, etc. A physician will request your consent for Fibroid Tumor Removal procedure using an Informed Consent Form. What Tests are needed, before the Fibroid Tumor Removal surgical procedure? What is a Fibroid Tumor Removal procedure? General anesthesia or spinal anesthesia is administered, during the Fibroid Tumor Removal procedure. What are the possible Risks and Complications during the Fibroid Tumor Removal surgical procedure? What Post-Operative Care is needed at the Healthcare Facility after the Fibroid Tumor Removal surgical procedure? What are the possible Risks and Complications after the Fibroid Tumor Removal surgical procedure? After Fibroid Tumor Removal (Myomectomy) surgery, a majority of the women can experience relief from the bothersome signs and symptoms, including excessive menstrual bleeding, pelvic pain and pressure. What Post-Operative Care is needed at Home after the Fibroid Tumor Removal surgical procedure? The fibroid tissue is taken for further examination and later disposed, as per the standard medical procedure. Who will you receive a Bill from, after the Fibroid Tumor Removal surgical procedure? Individuals are advised to inquire and confirm the type of billing, before the Removal of Fibroid Tumor surgical procedure is performed.